thoughts on theme: to change or not to change? There are two senses of theme we talk about in game design: big “T” Theme or theme in the literary sense, wherein a game is an expression or exploration of a concept, and little “t” theme, commonly used to refer to a game’s setting or situation. For example, the Theme of Battlestar Galactica The Board Game might be “survival in an atmosphere of mistrust and deception,” while its theme is obviously “Battlestar Galactica the TV show.” The game’s mechanisms work to support and express both its Theme, in that it presents a series of challenges designed to whittle player resources down through attrition while instilling a deep sense of mistrust among players by hiding one or more antagonistic traitors among them, and its theme, in that it provides player actions and game effects appropriate to the characters and situations on the show. Some very smart and talented folks have been discussing big “T” themes lately, and I strongly encourage you to read what they’re writing. This is critical to understanding games as more than simply entertainment. Daniel Solis covered these ably on his blog. Today, however, I want to write briefly about a recent experience with little “t” theme. Theme is marketing. Theme is your game’s face. It is the first impression you will make on players and is a primary determining factor in their buying decision. After all, if your theme doesn’t appeal to them, they are unlikely to even pick it up off the shelf. Theme is framing. Theme contextualizes your game’s mechanisms and is the filter through which your players will experience them. Theme is the heuristic by which your players will learn your game. So what happens when your theme doesn’t feel quite right for the mechanisms you’re using? Or, to put it the other way, what happens when your mechanisms don’t really support the theme you’ve chosen? I ran into this issue recently on a new game design. Here’s how I addressed it. In July, I started re-developing a small card game I had designed for a microgame contest back in February of 2013. The original design parameters required 20 standard poker cards and a handful of cubes. I designed a somewhat silly dexterity game with a somewhat serious theme. I called it Nuke It From Orbit. Nuke It From Orbit was one of those designs that kind of just came together. 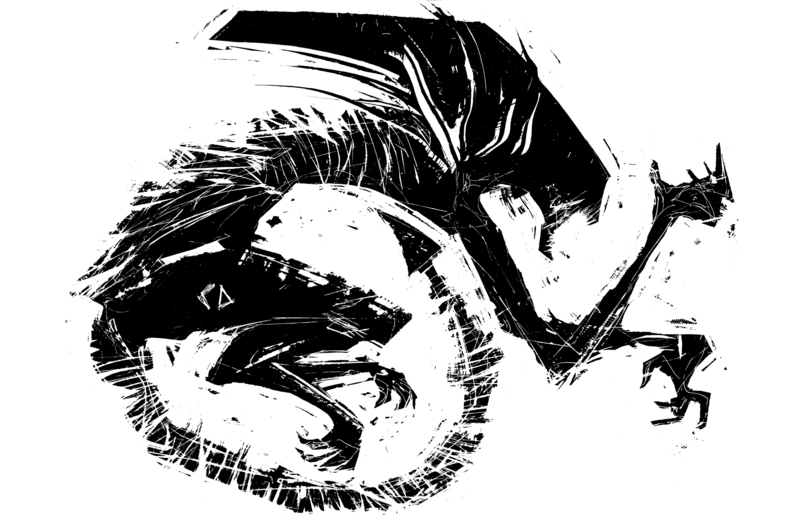 I had been mulling over a vague idea for a game inspired by Ripley’s classic line in Aliens. Mostly, I had a title and a single mechanism. I knew it would be a card-based dexterity game, using a modified “Chaos Orb” card-flipping mechanism that I’ve loved since way back in the days when I first played Magic: The Gathering. The players would have to flip a card onto the table, but the effect would depend on which side was up when it landed. I figured I could create a microgame version as a proof of concept. The limitations of the contest–20 poker cards and 10 cubes–would mean I’d need to eek out my theme where I could find it. The black-suited number cards had all those little spade and club icons, which might look like scrabbling swarms of deadly Aliens if you squint at them just right. The two through nine of Clubs and Spades gave me 18 cards with alien swarms. Aliens need a Queen and, hey, here was the Queen of Spades. I needed another card to round out to twenty and darned if that Ace of Spades didn’t give a vague impression of a face-hugger. So, I had my Aliens-themed deck of twenty cards. Now what? If the suit sides were the Aliens, that meant the card backs were the Nukes. From there, the basic game play evolved. We’d start with a few Aliens on the table and flip Nukes at them to kill them. If your card landed Nuke side up and touched an Alien card, you destroyed it. If your card landed Alien side up, well, more Aliens had just spawned. I submitted it to the contest. It didn’t win. Still, it felt like there was a seed of something really cool there. I submitted it to the contest. It didn’t win. I play tested it a couple of times after the contest was over to mixed reactions, so I shelved it to work on other games. When I picked it up again, I’d just developed and sold one big game and was mostly done with another. I needed a break from serious, historical themes and Nuke It From Orbit was just the thing for it. Non-historical themes are one thing, but I still wanted a game I could pitch to a publisher or even self-publish via Print On Demand services. That meant I’d need to replace the standard playing cards with custom cards and artwork and tighten up the rules. It needed to be simple, fast, and most importantly, fun! Play testing the game with Sharpie-scrawled symbols and rudimentary artwork on blank cards from The Game Crafter, I became aware of what I perceived as a fundamental mismatch between the theme and the game play. The Alien creatures from the movies were scary, deadly monsters. Ripley didn’t even want to be on the same planet as them! My game involved flipping cards onto a table, trying to cover other cards; not exactly a military-grade tactical simulation. Sure, there’s a chest-burster hiding among the aliens in the cards, but that’s the extent of the danger to the players. I’d already discounted using the actual Aliens likenesses as I assumed licensing the rights would be cost-prohibitive for any publisher interested in picking the game up. I thought maybe some sufficiently creepy Alien-esque critters would work. However, I had a threatening theme and a definitely non-threatening game. What should I do? One option was to scrap the card-flipping and make a tactical bug-hunt game. Nuke It From Orbit! F-yeah! Get some! That has a definite appeal, but it wasn’t the kind of game I needed at the time. A different theme was another possibility. There were some interesting and clever alternate suggestions; bees landing on flowers, ancient oak trees dropping leaves to cover acorns, cherry blossoms falling. I did some art for the oak leaves and acorns, but it was always unsatisfying to me. I wanted to make Nuke It From Orbit, not Falling Oak Leaves. The option I settled on was to go for a broad, tongue-in-cheek parody treatment. Clearly, this wasn’t going to be a true Aliens vs Colonial Marines bug hunt game and, while I like the Zen-like gentle themes, this was a game that needed a good hook for a publisher. Nuke It From Orbit was going to be a cute, silly game with cute, silly aliens to blast into smithereens. I sketched some alien critters in Procreate on my iPad and imported the sketches into iDraw for vector treatment. If you squint, you can just about see the remains of a Giger alien skull in their cute and cuddly noggins. After a couple hours of layout work in Illustrator, I uploaded files to The Game Crafter and had a few test decks printed. They turned out great and the game has been a hit every time I’ve taught it to new players and play testers. Nuke It From Orbit started out as little more than a cheeky reference to a classic movie line. I struggled early in development to find just the right match between theme and mechanism and found a way to satisfy both. Nuke It From Orbit has come to life as a fun and silly game, just as cheeky as it was always meant to be. That is dead cute art! Thanks, Al! I think it’s really a fun little game, too.